Learners thread letter charms on chenille stems to address phonics skills and fine motor development in one easy-to-use activity! 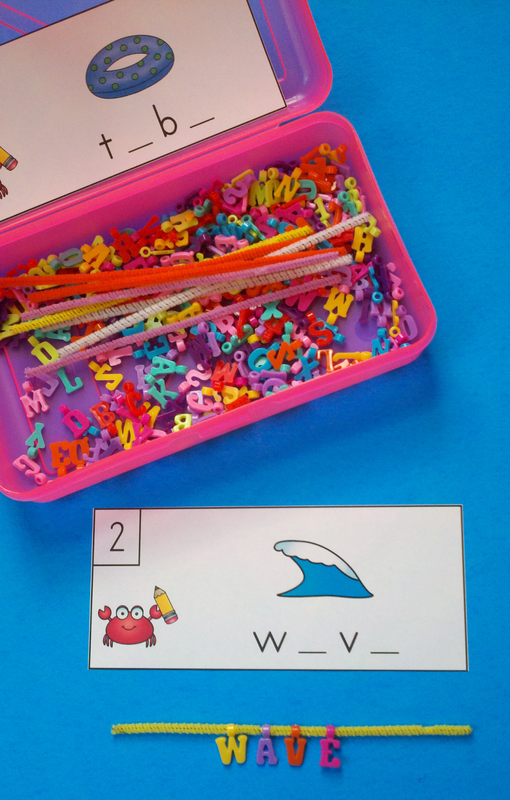 Are you making morning tubs for your little learners this year? CVCe Ocean Write the Room FREEBIE from Kamp Kindergarten can help. Use the suggestion featured in the photo above to adapt this FREE activity for use in morning tubs, fast finisher activities, and take home practice! Please click on the link below to download yours. FYI: The letter charms are from Hobby Lobby.